Pezzottaite is a rare, recently discovered beryl group mineral containing cesium and lithium. It has the chemical formula Cs(Be2Li)Al2(Si6O18)  and is noted for its striking "raspberry red / pink" color. Pezzottaite is hard, with a hardness of 8 (Mohs), vitreous and shows stong pleochroism. It has been found in association with liddicoatite, quartz and feldspar, albite, tourmaline, zircon . 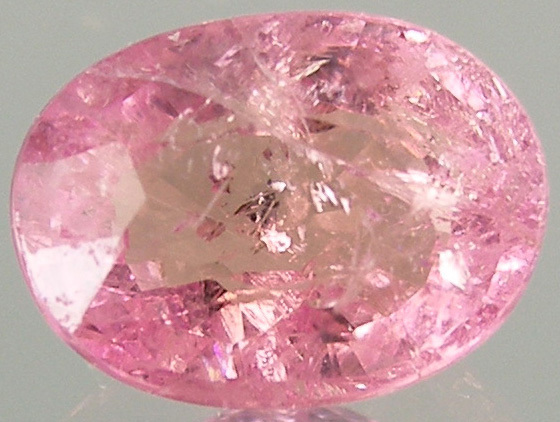 It has on occasion been confused with morganite, a pink beryl variety which also contains Cesium. 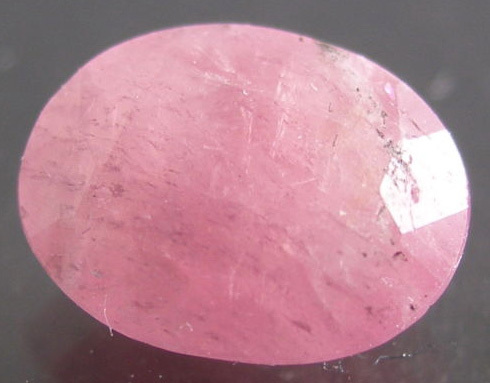 Pezzottaite has a refractive index around 1.619 - higher than that of beryl. The largest good quality faceted pezzottaite known to the GIA at the time of writing the report on pezzottaite that appeared in Gems & Gemology, Winter 2003  was 11.31 carats, and the largest fine cat's eye cabochon was 17.36 carats. With the Madagascar source being mined out, it seems unlikely that bigger stones will originate there. It is not known to this author whether larger stones have come from Afghanistan or Mogok since then.